Students making music with Boomwhackers! So much fun using technology to learn music and create sounds! Private Piano Lessons: For students of all different levels. While building techniques and skills, your child's confidence and self esteem will soar! Classes begin January 7. Space is limited. Please email lbotko@nrsd.net if you are interested in registering. Check out our Bike Safety Program! 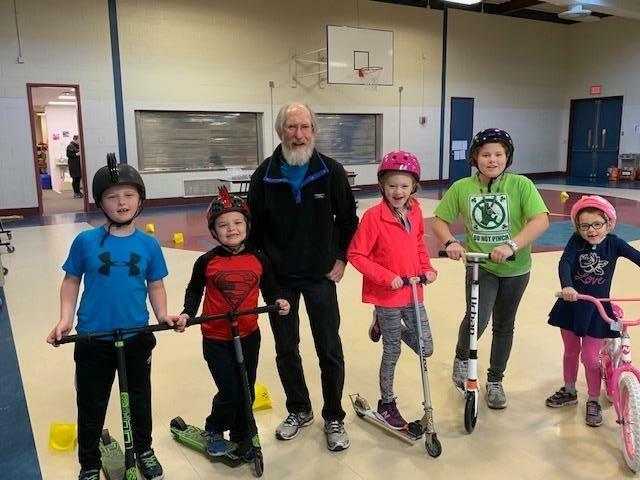 Thank you to the Nashoba Valley Rotary Club for coming to the Emerson Extended Learning Program on Friday, Nov. 30 before school and volunteering their time to help our students learn the importance of bike safety. 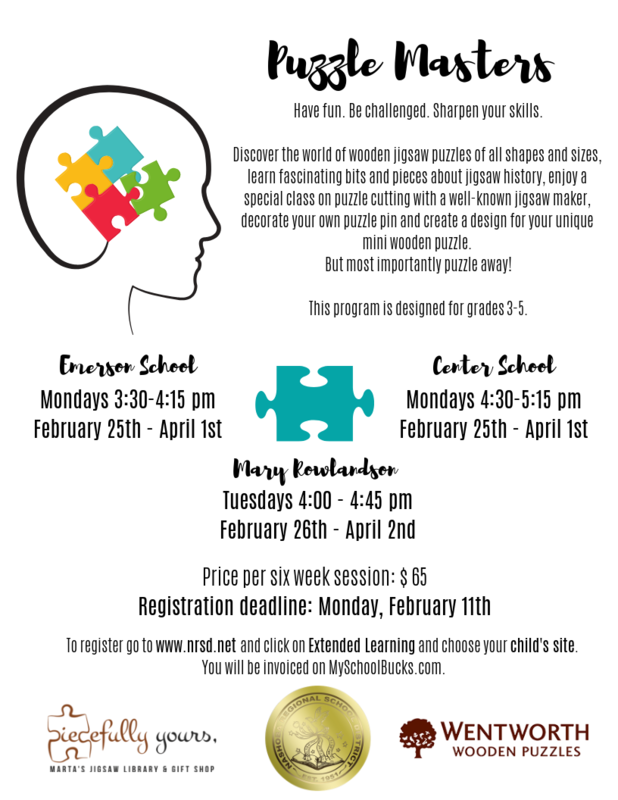 February Vacation Camp is now open for registration. Click here! NEW! STEM BEGINNINGS: Encouraging curiosity, hands on! For K-2 students. NEW! Super SoccerStars: Enrichment program for K-5 students. ImagArena: An interactive program that combines art, building structures, and problem solving. Classes begin October 1st, space is limited. Please email lbotko@nrsd.net if you are still interested in registering. IMAGARENA the newest addition to our amazing enrichment opportunities! Andrew might be our next PICASSO! The Bolton Extended Learning Program entered this fine gentleman into the annual town Scarecrow Contest! Ms. Linda and a few members of the Gardening Club. Harry Potter Club is filled with magic. Students in grades K - 8 brought their bikes to the Emerson Gym for a fall tune up and basic bicycle safety. Community cyclists hosted this amazing one hour opportunity for students to learn bike safety and maintenance tips from the experts. The class was open to all interested Extended Learning Program, Florence Sawyer and Emerson School students.